The BBBEE Verification process can be hassle free! BEE has in many cases left some business owners anxious as the terminology isn’t fully understood. 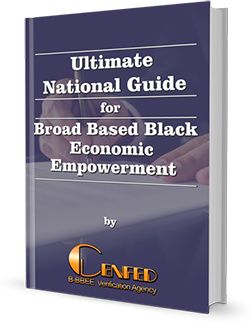 Broad Based Black Economic Empowerment compliance is in no way an obligation set out by law. Making the decision to get verified and being B-BBEE compliant is however something you can only benefit from. To do business with government or any institution associated with state, you are required to have a valid BEE Certificate. You should also ensure that the BEE Verification Agency is accredited with either IRBA or SANAS. In the end it becomes simple – Implement B-BBEE, get a good score and your business will grow. Seeing that private companies are losing business they are electing to use BEE compliant suppliers as well. Gathering of Evidence according to the 7 elements of relevance. Once this is done, a BEE Certificate of that specific entity’s BEE Compliancy and Procurement Recognition is issued. The BEE scoring levels are explained below. This BEE certificate is then valid for one year from the date of issue. When deciding whether your entity needs to be verified or not it is important to know and understand the three categories which a business may fall under, This determines the BEE planning process the entity needs to do, as well as the pricing of Accredited BEE Verification. Exempted Micro enterprise, this is when the natural turnover is less than 5 Mil (may be the case of a start-up company) Please note that in the Tourism Industry the annual turnover needs to be less than 2.5 Mil. A full audit is not necessary, only relevant supporting documentation eg. Cipro Registration and Certified Copies of ID’s of owners. Qualifying Small Enterprise, this is when the annual turnover is less than 35 Mil but more than 5 Mil. A partial on site audit is done, this is where 4 of the 7 chosen elements are verified and an on-site verification is also conducted. In case of a Generic, a full on site audit is necessary, this means that all seven elements are verified as per the Generic Scorecard, a site verification as well as interviews are conducted. Proof of shares in HDI hands. A share certificate for example will need to be submitted for this purpose. Submission of an EE report and the involvement of PDI’s in the organisation on different levels and categories. Proof of training spend on HDI’s such as in-house programs and accredited programs such as ABET (reading and writing) and mentorship programs. Proof of purchases from suppliers that are BEE compliant as a percentage of total procurement spending. Aiding SMME’s and emerging entities owned by HDI’s to trade in the mainstream economy. An example is setting up a CC and contracting such an entity to provide products. Proof of HDI’s in top/senior management. Interviews will be held to confirm seniority, job description, salary etc. When sufficient planning is implemented, BEE does not need to be perceived as a threat to one’s business but rather that of an opportunity.